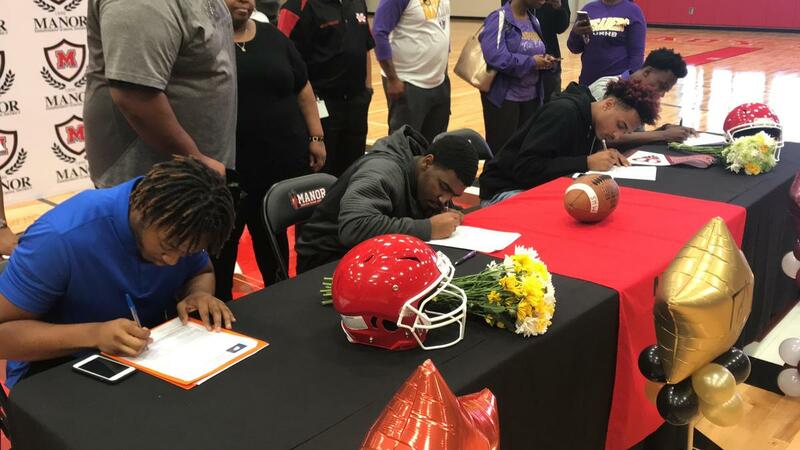 Four Manor Mustang football players signed to collegiate-level programs on National Signing Day Wednesday Feb. 6. 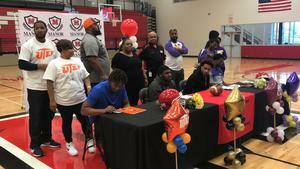 The players and the university they signed to are as follows. 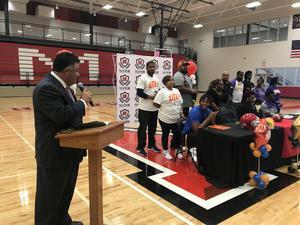 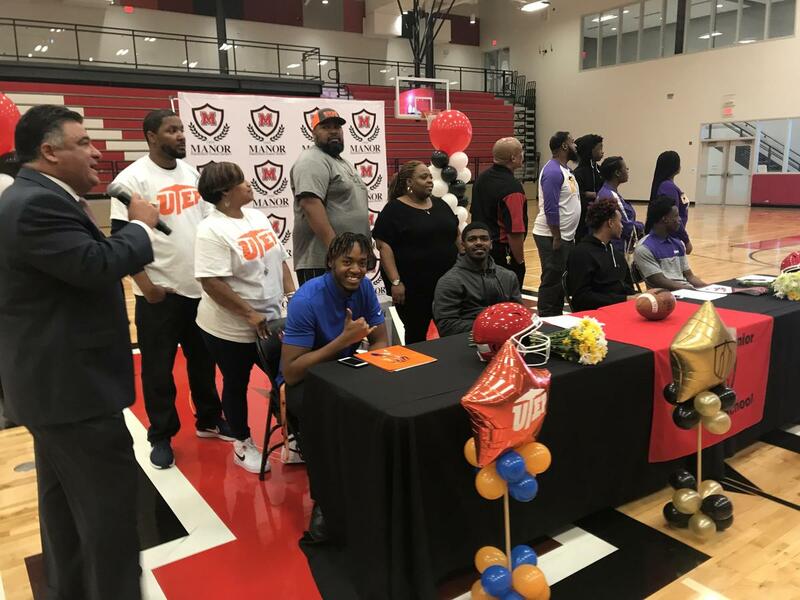 The signing day ceremony featured words of praise from head Football Coach and Athletics Director Jimmy Mitchell as well as highlights from their time on the field as Mustangs. Congratulations to these talented players and their proud families!